Shopping for Team Fortress Plush? 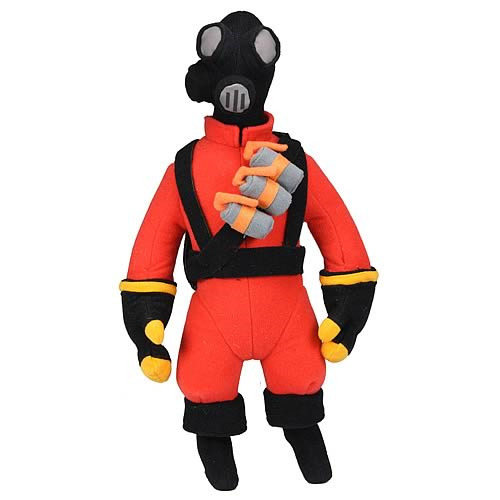 From one of the best selling and most successful games in the Valve library comes this stylized plush faithful to the animated look of Pyro from the Pyro class. The Team Fortress Pyro plush stands 13-inches tall and features loads of detail and hand sewn applications to capture his look as seen in the Team Fortress video game. Pyro is shown here with his fire suit. The Pyro plush comes in polybag packaging. Ages 17 and up.